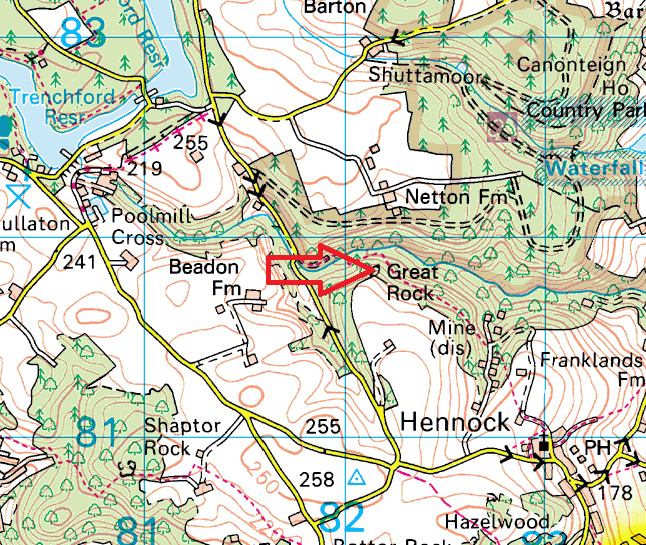 Search for Great Rock, Dartmoor on the internet brings up various, more famous rock tors on Dartmoor. 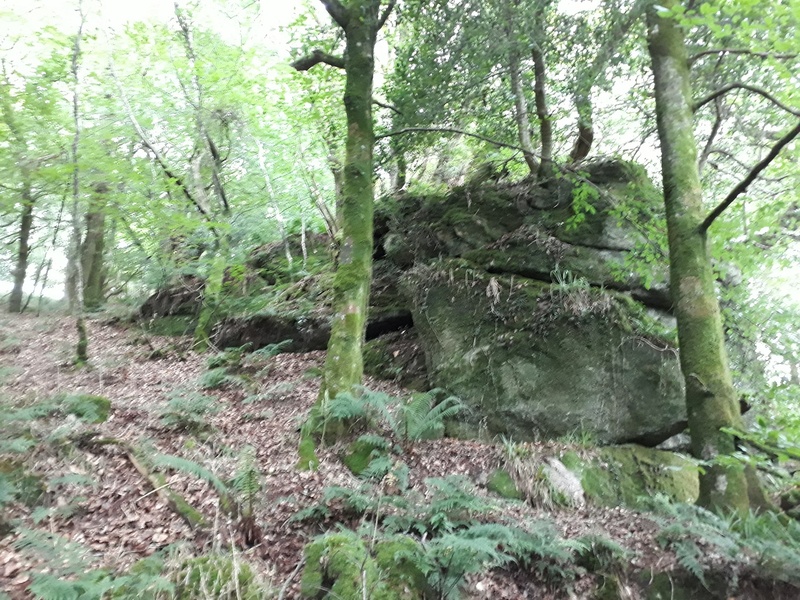 This one however site in the woodland a mile north of the village of Hennock on the eastern edge of Dartmoor. The easiest way to get to this tor in to park behind the church in the village and follow the well published walk in this area to the nearby reservoir. 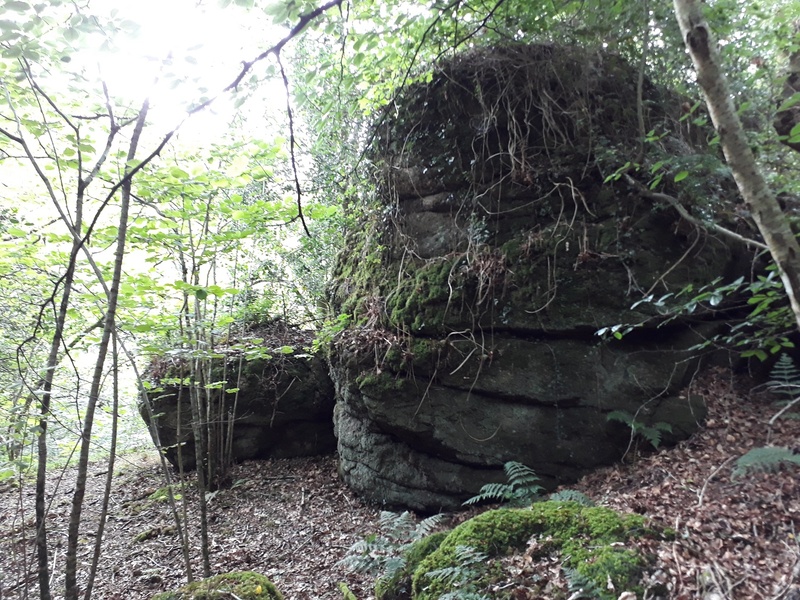 This walk will take you through the woodland and past Great Rock. Which also has a mine of the same name, where iron ore was extracted for use on Royal Navy ships. 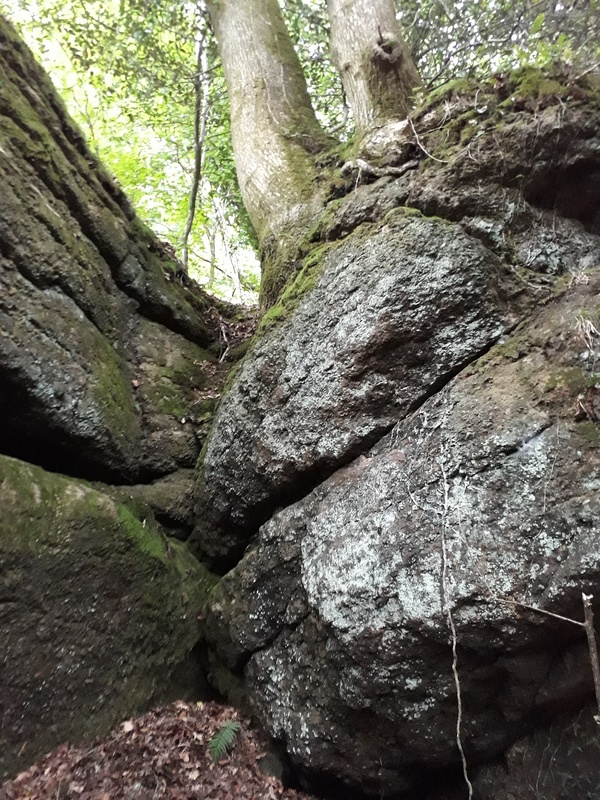 The rocks are fairly big but not too far from the track, there are no real views due to the tree cover. There are no military firing areas near here.